After posting the blog about insects in my backyard habitat I was asked several questions about my yard. Every season has color, interest, and surprises for me which I will share over the next several months. Nocturnal scene in my neighborhood of Thornberry. Daytime in Thornberry: A sweep of winterberry holly berries add color from the street with the Southern Gentleman (male of this species) being tucked into the back of the garden. The male produces no berries, but is necessary for the female to produce hers. 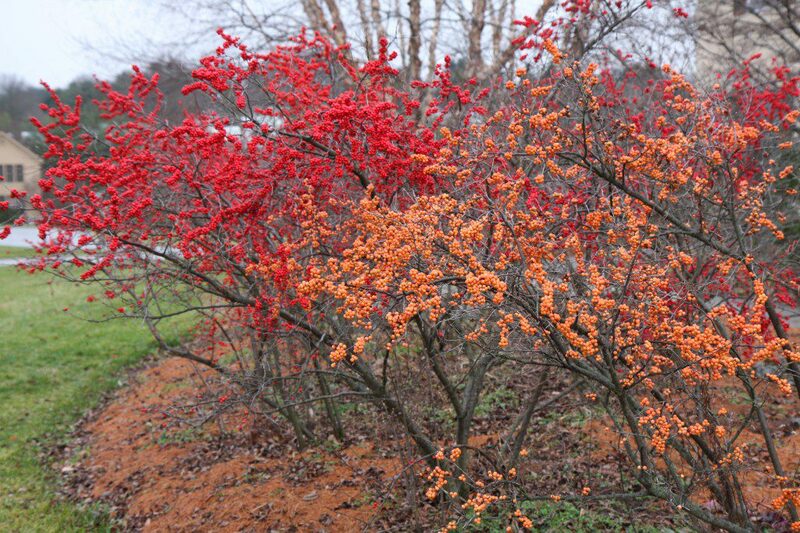 Winterberry add color to the winter garden and is a native plant found in wet woods. Many species of birds, including Eastern Bluebird and American Robin feed on the berries. Over the next few months the birds will enjoy the bounty of berries. It depends on which species you plant whether or not the birds devour the berries early or late in the season. 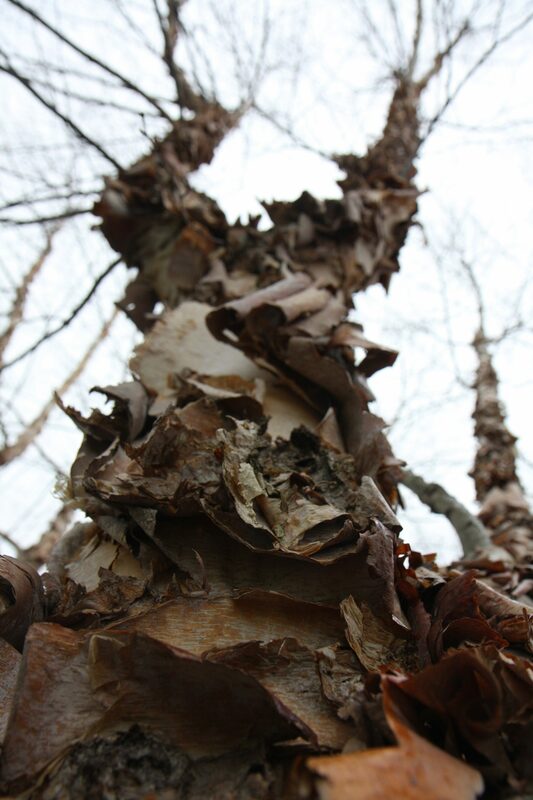 For some interesting texture in the winter garden, try River Birch, whos peeling bark adds interest to the leafless tree and nooks and crannies for overwintering insects and spiders. River Birch is another native Delaware Species that is found in wet woods and streamsides, especially on the coastal plain.